Ending with a gasp-worthy cliffhanger of notorious crime-lord Sin Rostro abducting Jane’s new born son Mateo, Season 2 fortunately picks up exactly where we last saw everyone in the Season 1 finale — give or take 9 minutes. We have heard there is a big wedding coming up. What can you share about that? JENNIE: There’s TWO weddings. One wedding in the fifth episode and one later. Jane will make her choice at some point this season — you’ll have to wait and see [who it is] — and we have a lot of good exciting surprises, some magical realism, and big soapy twists and turns. How big are those going to get? It seems like last year you did everything on the show! JENNIE: [Laughs] It turns out that we didn’t! Once you get to know the characters more and we keep putting them in difficult situations to see how they react and if you keep making the stories specific, they have a long way to go. We want them to make mistakes so that they have a place to get to. And the magical realism — we haven’t even begun to show the fun we’re going to have this year with that. The show does a lot of fun things. You also began killing characters last season, which surprised viewers. Are you going to keep killing people off on the show? JENNIE: There is definitely an upcoming death or two in the beginning. So it’s not off the table. There’s some unexpected deaths. Our show is a telenovela after all. As far as the existing relationships, are there going to be some definitive choices made for Xo/Rogelio and Jane/Michael/Rafael? JENNIE: Definitely. Jane (Gina Rodriguez) will make her choice. Xo (Andrea Navedo) and Rogelio (Jaime Camil) get to some place pretty substantial early on. Petra (Yael Grobglas) gets in a surprising romantic situation. We try to have in every episode a good balance of romance and telenovela twists with drama and family. We pack it all in to each episode. Have we seen the last of Lachlan (Michael Rady)? JENNIE: You have not seen the last of Lachlan. 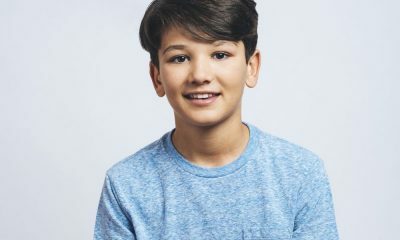 He will come in the second returning episode. He will be a continue thorn in Petra and Rafael’s (Justin Baldoni) lives. I love Michael Rady, so he will be back. How about Bridget Regan? Will we see her return as Sin Rostro? JENNIE: You’ll hear from her at first. I’ll say Sin Rostro is a big part of our crime elements and what her plan is and why she took the baby. So you will see her for a second. I will say that we have her booked for when we need her. As far as Jane, she has not only had some ups and downs in her romantic life, but also with the baby and her job choices and career path. Are we going to see some of that settle in her life? JENNIE: She is really going to go for it with her writing this year. So that will be a real strong drive for her, and also at the same time, figure out how she balances and negotiates her dreams with motherhood. That will be a real big focus of the season. We’re going to push her in all kinds of different directions: romantically, career-wise and motherhood being the new thing to juggle in there. Do you have a real baby on set? JENNIE: We’re going to have a lot of babies on set. A lot more baby interaction. Jane’s a mom now and Xo is a grandma and Alba is a great-grandma, and Rogelio is a grandfather — but he won’t be called that. The Marbella hotel has always been a hot-spot for a lot of the turmoil in their lives. Is that still going to be a central focus? JENNIE: The hotel is definitely a point of focus. Rafael has sunk a lot of money into the hotel as his legacy and he wants to make it great, and there is always a lot of drama surrounding that particular that hotel and that is going to become an issue for the hotel as the season goes on. What is going on with Michael (Brett Dier) and his job? JENNIE: Certainly Michael going to be integral in getting the baby back and his focus as a police officer will definitely impact Jane, Rafael, and Sin Rostro. 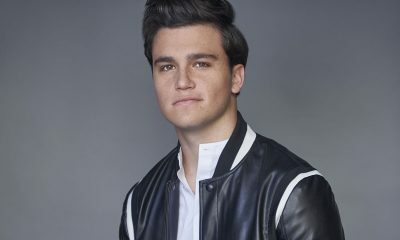 Rafael surprised everyone by his decision to put up a roadblock on his relationship with Jane last season. Is he regretting that now? JENNIE: He definitely regretted it at the end of the season. Now that he sees Jane and the baby, he sees right in front of him what he wants, he is really going to try to get it. 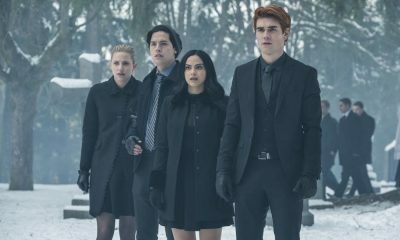 What do you think is the most exciting thing that fans can look forward to this next season? 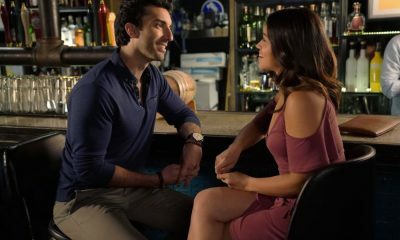 JENNIE: We have some exciting guest stars coming up and I think everyone will be excited to see Jane make a choice and how that plays out and creates new complications — plus, all the romance and all the fun telanovela twists and turns and comedy that fans loved last year, we’re doubly-down on all that. 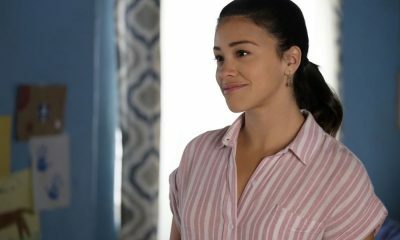 To find out if it is too late for Rafael and if there is now a chance for Jane and Michael and just who might be Petra’s new hot romance and just who is getting married, be sure to tune in for the Season 2 premiere of JANE THE VIRGIN on Monday, October 12th at 9:00 p.m. on the CW. So many great jaw-dropping and adorable moments coming our way in Season 2!